The Israeli Occupation Forces (IOF) arrested Sunday evening a Palestinian young man from Jenin camp after heading to Salem military camp where he was earlier summoned for investigation. Local sources told the PIC reporter that the young man Hashem Natur, 22, was arrested after being questioned for several hours in Salem military camp. Israeli forces had earlier stormed Natur’s house and summoned him for investigation. A second young man, meanwhile, was injured Sunday morning in an Israeli police chase. Locals affirmed that the young man suffered moderate injuries after falling off his bike in Wadi Joz area east of al-Khalil as he was chased by Israeli police vehicles. Live rounds were fired into the air during the police chase, the sources added. The injured young man was then taken to a local hospital in al-Khalil. Palestinian MK Sentenced for "Disgracing a Public Servant"
Member of Knesset (MK) of the Joint List party, Hanin Zoabi, reached a plea bargain of six months of probation and a fine of NIS 3,000 at the Nazareth Magistrate's Court on Sunday for "disgracing a public servant." Initially, the Attorney General wanted to charge Zoabi with “incitement” for allegedly telling a crowd of protesters in 2014 that Israeli Palestinians who work for government security forces “should be scared of us.” However, the charges were dropped after they were proved to be false. Instead, Zoabi was charged on Sunday with “disgracing a public servant,” based on the claim that Zoabi called an Israeli Arab police officer a “traitor” at a protest in Nazareth on July 6, 2014. The charges against Zoabi come as the Israeli government builds up an offensive against Palestinian Israeli MKs. Prime Minister Netanyahu is also attacking Palestinian-Israeli MKs Hanin Zoabi, Jamal Zahalka and Basel Ghatas – all members of the Joint List – for their recent visit with Palestinian families in Jerusalem that lost a relative to Israeli police violence and still await receiving their bodies from the governement. The Joint MKs went to meet with these Palestinian Jerusalemites to hear their requests for equal opportunity to bury their children. While the Ministry of Internal Security refuses to return the bodies of Palestinian residents of Jerusalem that were killed by the Israeli police since October’s uprising, the bodies of Palestinians killed by the Israeli army in the West Bank have recently been returned to their families. But, Netanyahu is focusing on the fact that some of the Palestinians killed by Israeli forces were suspected to have intentionally attacked Israelis to unsettle the Joint List MKs' positions in governement. On Thursday, Netanyahu said that he, along with Knesset Speaker Yuli Edelstein, would file a personal complaint against Zoabi, Zahalka and Ghatas with the Knesset Ethics Committee. Then, on Saturday, Netanyahu instructed the Attorney General Avichai Mandelblit to examine what legal actions could be taken against Zoabi, Zahalka and Ghatas. And even the opposition to Netanyahu’s right-wing government, such as Yesh Atid and Meretz, have joined in on attacking the three Palestinian representatives. MK Ilan Gilon of Meretz also came out against the three MKs, saying in a post on Facebook that they have “lost their way.” Gilon, who claims to be committed to human rights, made no mention of Palestinian families’ right to bury their deceased relatives. On Saturday, Balad claimed that the Prime Minister was inciting against Palestinian MKs and intentionally distracting from the real issue at hand, saying: “Netanyahu’s continued incitement against Arab MKs is another step in his rule, which is based on intimidation and racism in order to divert the discussion from the main topic: the return of the bodies to their families for burial, as required by any moral standard of a human or religious group," the party said. 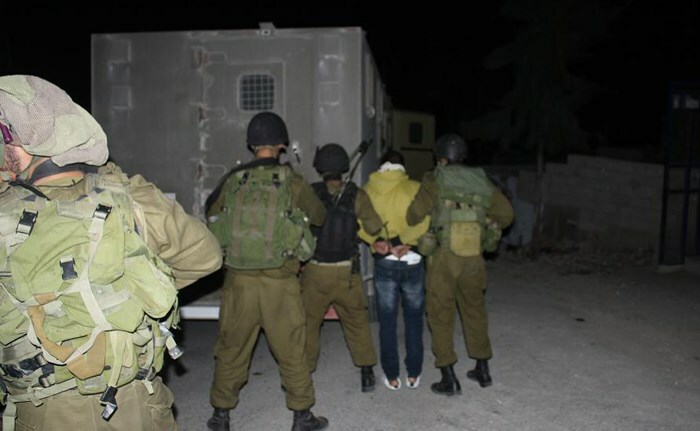 The Israeli occupation forces (IOF) on Sunday carried out arrest campaigns in different West Bank areas. Israel's channel 7 claimed the Israeli army arrested nine wanted Palestinians, six of them accused of being involved in attacks against Israeli soldiers and settlers. In al-Khalil, local sources said that Israeli soldiers kidnapped during a dawn raid on home in al-Sa'ir town three brothers under age 16. The IOF also kidnapped three others, including a dentist, from their homes in al-Khalil city. Another one called Shadi Ghalmah was handed a summons for interrogation from the Shin Bet during an IOF raid on his home in al-Khalil. He is an ex-detainee in Israeli jails. In Occupied Jerusalem, the Israeli police claimed it had arrested a Palestinian citizen after finding weapons inside his house in al-Ram town, northeast of the holy city. The Israeli military and security apparatuses have intensified their arrest campaigns in the West Bank and Jerusalem since the start of al-Quds intifada (uprising) in early October. The Israeli occupation forces (IOF) at dawn Sunday kidnapped the Palestinian dentist, Amjad al-Hammouri, from his home in al-Khalil city. His wife, Asmaa al-Sharbati told the Palestinian Information Center (PIC) that Israeli soldiers stormed and ransacked their home in Ein Sara neighborhood in al-Khalil before rounding her husband. Hammouri was a former candidate on the list of the Hamas parliamentary bloc, and served different prison terms in Israeli jails. He holds a bachelor of dentistry from the Jordan University of Science and Technology, and he is also a member of several educational and charitable institutions, including the Blind Charitable Society. Sit-in tents were pitched Saturday by the Palestinian Assembly in Germany (PAG) across German cities in solidarity with hunger-striking journalist, al-Qeiq, and in protest at Israeli crimes against Palestinian children. 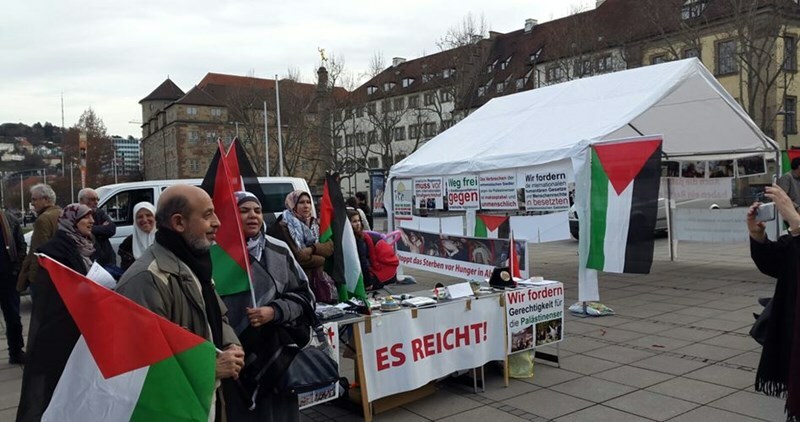 PAG said in a statement sit-ins were organized in Germany’s western city of Bochum and another was held in Stuttgart, to the southwest, in solidarity with Muhammad al-Qeiq and Palestinian children. According to the statement, 480 Palestinian children were murdered by the Israeli occupation army and terrorist settler gangs, among a total of 2,205 Palestinians killed in the 2014 summer offensive on the besieged coastal enclave of Gaza. The group spoke out against the abductions and military trials to which Palestinian children have frequently been subjected. PAG’s head, Suheil Abu Shamaleh, urged the UN and the UNICEF, among other international child institutions, to immediately step in and work on bringing such violations against Palestinian children to a halt. He further denounced the psycho-physical upshots of Israel’s ongoing violations, terrorism, and genocides, on Palestinian children, particularly in the blockaded Gaza Strip, where life has already been marred by high rates of poverty, unemployment, starvation, and sickness. 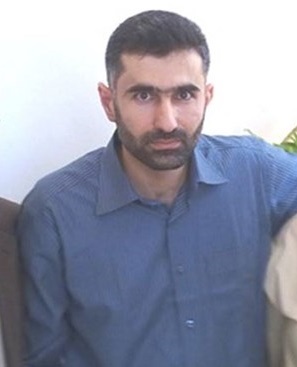 PAG deputy head, Fadi al-Tayesh, also said the sit-in aims at mobilizing mass support for al-Qeiq, who has been starving for 75 days in protest at his arbitrary detention. He said the assembly holds the Israeli occupation authorities responsible for al-Qeiq’s life, calling on the German Chancellor Angela Merkel and the European governments to urge the Israeli occupation to release al-Qeiq and stop its administrative detentions, without charge or trial. A letter sent to Merkel, along with the German Foreign Minister and MPs, by Pro-Palestine institutions in Berlin, including PAG, spoke up for the 700 Palestinian administrative detainees, including children and women, who have been held in Israeli lock-ups with neither charge nor trial, in a barefaced contravention to international laws. Israeli doctors say that Palestinian hunger striker Muhammad al-Qeiq could die at any minute after 74 consecutive days of hunger strike at Afula hospital. Hiba Masalha, an attorney for the Palestinian Authority’s Commission for Detainees and Ex-Detainees Affairs, visited al-Qeiq on Friday evening in the hospital where he is being kept under an Israeli court order and said that al-Qeiq is “struggling against death”. “There has been a severe deterioration in the health condition of the detained journalist Muhammad al-Qeiq,” Masalha pointed out. “He has completely lost the ability to speak. He continues to suffer from fatigue, spasms, dizziness and breathing difficulties due to the continuation of his hunger strike and his refusal of treatment for the 74th consecutive day,” she said. Palestinian detainee Muhammad al-Qeiq refused an Israeli offer to release him on May 1 in return for suspending his hunger strike, the Prisoners’ Committee said Sunday. According to the Prisoners’ and Ex-prisoners’ Committee the Israeli offer was put forward to the Palestinian MK Osama al-Saadi and lawyer Ashraf Abu Esneineh overnight Saturday after al-Qeiq’s health had sharply deteriorated at the Afula hospital and after medics expressed fears that he would die at any moment. Al-Qeiq voiced his firm rebuff of any conditional release, calling for his immediate release. 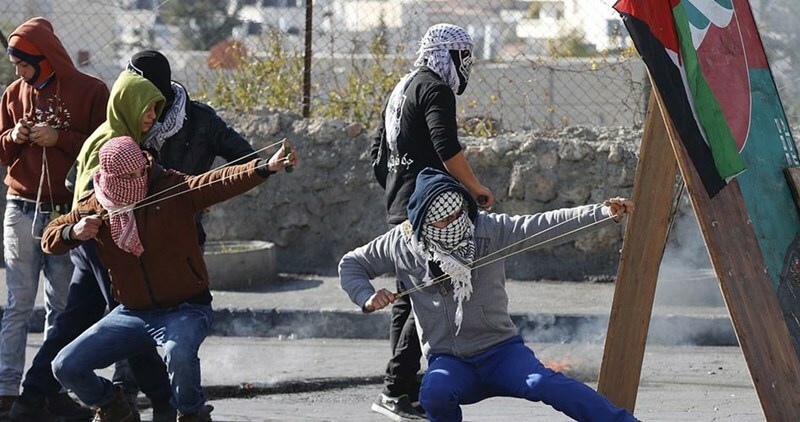 Hamas in the West Bank has, meanwhile, declared Sunday a day of national anger in support for al-Qeiq. Hamas called in a statement for a mass participation in the rallies and events set to be staged across the occupied territories in solidarity with al-Qeiq. “Israel will pay a heavy price for its mistreatment of the hunger-striker,” a statement by Hamas read. “Any turn for the worse al-Qeiq’s life might take would fan the flames of the anti-occupation intifada.” Hamas urged the mass media and student blocs to mobilize mass support for al-Qeiq and speak up for his right to live freely. Israeli soldiers invaded, on Sunday at down, several Palestinian communities in the southern West Bank city of Hebron, searched homes and kidnapped six Palestinians, including three siblings, between the ages of eleven and sixteen. 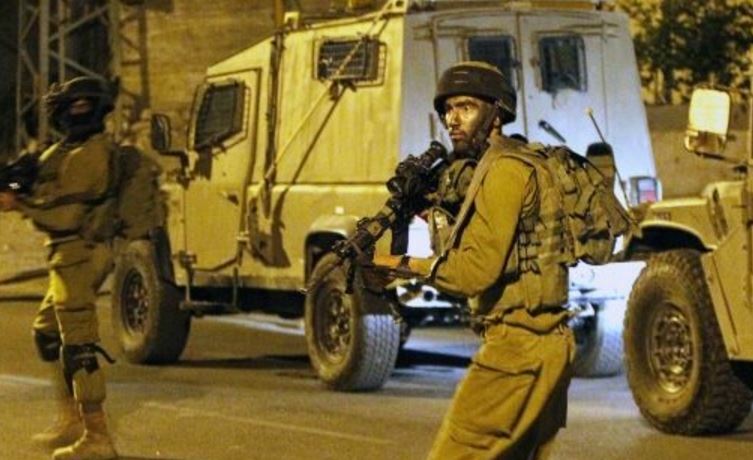 Eyewitnesses said several army vehicles invaded Sa’ir town, northeast of Hebron, and kidnapped Mojahed, 16, Qussai, 15, and Sa’ad Nimir Froukh, 11, before taking them to the Etzion military base. 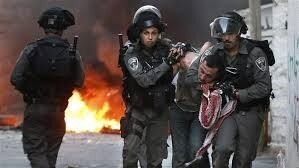 The Israeli occupation police on Saturday morning kidnapped a Palestinian young man from Ras al-Amud neighborhood in Occupied Jerusalem and clashed with others in the same area. Local sources told the Palestinian Information Center (PIC) that the clashes started after policemen stormed al-Shamela school in the neighborhood and fired stun grenades inside it. They added that the police also stormed Ras al-Amud neighborhood at dawn today and kidnapped a young man called Mohamed al-Za'tari from his home. 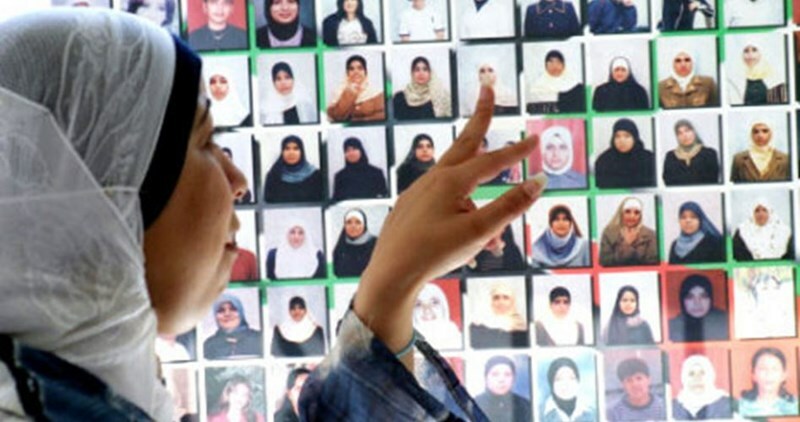 The Palestinian commission of detainees and ex-detainees has said that the Israeli occupation has escalated its violations against the Palestinian women during al-Quds intifada (uprising) and kidnapped about 100 of them from all areas. In a brief report on Saturday, the commission stated that since the intifada started last October, the Israeli military and security forces have committed serious crimes and violations against Palestinian women, especially the teenage girls, who were exposed to maltreatment after shooting them. Senior official of the commission Abdul-Naser Farwaneh affirmed that the female detainees arrested during the intifada were physically assaulted, abused and tortured during and after their detention, while many of them suffer from harsh incarceration conditions in the jails of Hasharon and Damon, and other prisons. There are still about 55 Palestinian women in Israeli jails, some of them are minors and wounded. On Thursday, Palestinian journalist Mohammad al-Qeeq said he rejected the Israeli court decision to temporarily suspend his administrative detention (indefinite jailing without charge or trial), and that he would continue with his hunger strike. The Israeli Supreme Court, according to the PNN, suspended his six-month administrative detention sentence citing medical concerns, with the sentence to be resumed upon an improvement of his health. 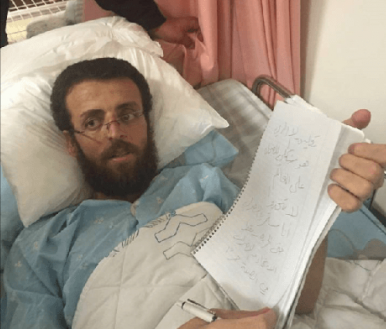 Due to al-Qeeq's extreme bad health situation, he could not say what he wanted, so he wrote down his wishes regarding the Israeli court decision, emphasizing the continuity of his hunger strike until he is completely free, not accepting any temporary decision. “The decision of the administrative suspension is configurable a laugh at the world. I continue to strike until freedom, and freedom only”, he wrote. He also emphasized his refusal to receive any medical treatment unless he is transferred to a Palestinian hospital. And so, his hunger-strike, which was started on November 24th of 2015, came as a protest against administrative detention in Israeli prisons for six months without any charges or court. The detention period can also be endlessly renewed every six months. Al-Qeeq's wife said, Friday, that her husband's health had continued to deteriorate and he was no longer responsive to visitors. 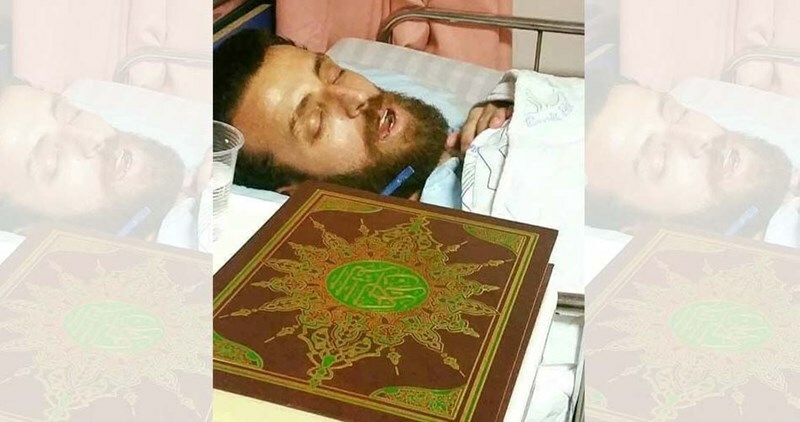 Fayhaa Shalash, a journalist herself, told Ma’an News Agency that al-Qeeq's health had shown a decline since Thursday, when she said he had still been responsive. Shalash expressed her concerns as al-Qeeq entered his 73rd day on hunger strike, in protest of his administrative detention. Dozens of Palestinians, meanwhile, performed Friday prayers in front of the International Committee of the Red Cross (ICRC) office in Gaza City in support of al-Qeeq. Sheikh Wael al-Zarad called for the release of the prisoner and demanded that journalistic and international rights institutions intervene for al-Qeeq’s release. Alongside the Palestinian leadership and other international groups, ICRC has called on Israel "to find a solution that will avoid any loss of life", in al-Qeeq’s case, but the calls have yet to pressure Israel to release the journalist. The imprisoned journalist Mohamed Al-Qeiq’s family said Saturday morning that he decided to continue his hunger strike for the 74th day despite his critical health condition. The family denied all reports claiming he reached a deal with Israeli authorities to end his hunger strike. He is still held under administrative detention, the family stressed. Al-Qeiq had earlier told al-Majd TV Channel in a phone interview that he would continue his hunger strike until he restores his freedom. Al-Qeiq expressed during the phone call his gratitude to the campaign initiated in solidarity with him. He said the Israeli court rule to freeze his administrative detention while keeping him locked up in Israeli hospitals aim at thwarting the solidarity campaign. A number of Arab members of the Israeli Knesset had Thursday managed to visit al-Qeiq in Afula Hospital after Israeli court order to freeze his administrative detention. Al-Qeiq was arrested from his family home in Ramallah on November 21 and had reportedly been subjected to harsh torture during the investigation procedure, which made him declare his hunger strike. Israeli soldiers kidnapped, on Friday evening, three Palestinians, and injured several others, south of the northern West Bank city of Jenin. One of the kidnapped Palestinians was also shot and injured prior to his abduction. 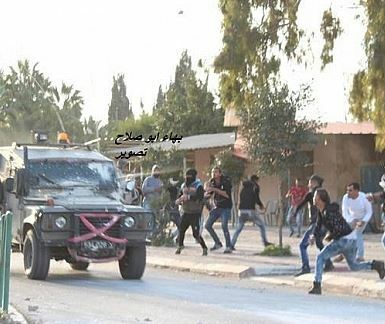 The soldiers invaded a gas station in Mothallath ash-Shuhada village, south of Jenin, and kidnapped Hamza Sayel Jarrar, 24, after shooting him in the abdomen, in addition to Motasem Mohammad Barbour, 20, and Ramez al-Asmar; all from Jenin. The soldiers also shot two young men and a child with live rounds, and several others with rubber-coated steel bullets, while many residents suffered the effects of tear gas inhalation, during clashes that took place after the army invaded the village. Head of the Emergency Unit of the Red Crescent Society in Jenin Mahmoud Sa’adi, said the two young men and the child were shot in their legs, and were moved to a local hospital, and that six other Palestinians were shot with rubber-coated steel bullets. In related news, Israeli soldiers invaded 'Aneen village, west of Jenin, broke into and searched a home, belonging to Rami Khader, and used its rooftop as a monitoring tower.